Editor’s note: Considering how rapidly visual trends come and go, we felt it was time to update this post. Outstanding visual content doesn’t require the complex process we imagery-impaired, design-phobes think it does. 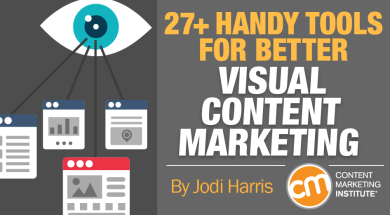 We’ve pulled together eight best practices and 27-plus handy tools so you can up the quality quotient of your visual content, and give your brand a distinct and powerful look – without having to spend a ton of time at the drawing board (literally). We’ve broken the tools into four categories to make it even easier – content image creation and editing; data visualization; video; and games, animation, interactivity, and multimedia. Making an image and hoping for the best is not an effective strategy. As Buddy Scalera explains, your brand competes with millions of pictures, movies, and stories every day, it needs a smart, flexible strategy in order to reach your targeted audience. What are we trying to accomplish with our visual content? Who is our audience and what content do they crave? What problems does our organization solve? How can we best position our business or brand and create a consistent look and feel? What is our clearly defined vision of who we are and what makes us unique? 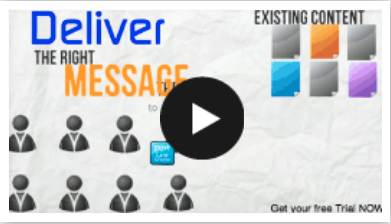 How can we communicate those messages in a compelling way? What metrics will we use to measure success? For which terms should this image appear in search engine results? 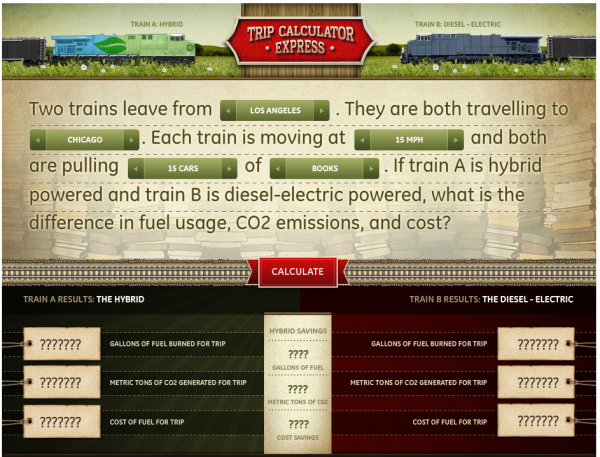 GE Transportation’s interactive trip calculator aligns with its content marketing strategy to convey the value of hybrid locomotives. Tap into your audience’s emotions and say something significant and relevant. Dawn Papandrea discusses how to nail visual storytelling, recommending using images to articulate your brand personality and form a meaningful connection with your readers rather than overloading them with pop-culture images, memes, or anything that doesn’t resonate with your brand. 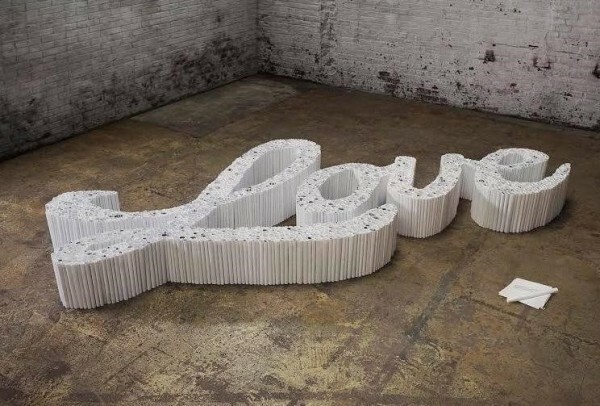 Honey Maid demonstrated the power of love by spelling it with printed copies of negative tweets the brand received. While stock images may save time, they can’t tell as compelling a story of your brand – and your customers – as custom images can. Buddy Scalera suggests taking photos of your team doing interesting things as a better alternative – and if they interact genuinely with your products, the images will be even better. 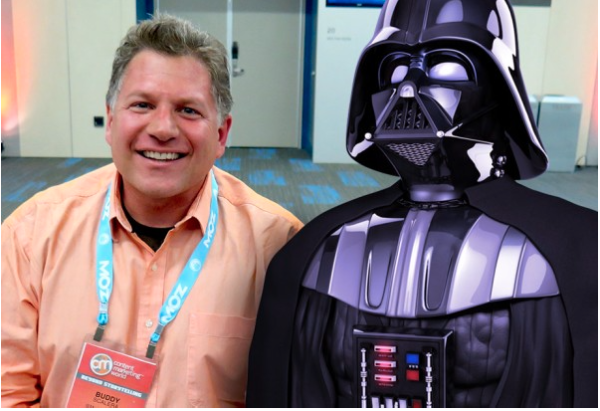 Buddy and Darth Vader are ready to help you embrace your visual story. Michele Linn points out that visual tips, checklists, and how-to images perform well – particularly on social media – because they are designed to help or inspire your customers. 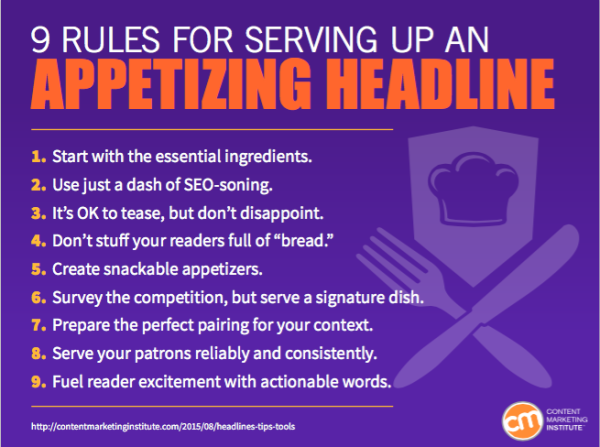 Content marketers can adapt their most popular written content into compelling visuals, like infographics, charts, or checklists. As Cathy McPhillips explains in the June issue of Chief Content Officer, this an excellent way to draw fresh attention to your evergreen content in an easier-to-digest format. Your fans already like their own images, why not put them to good use? 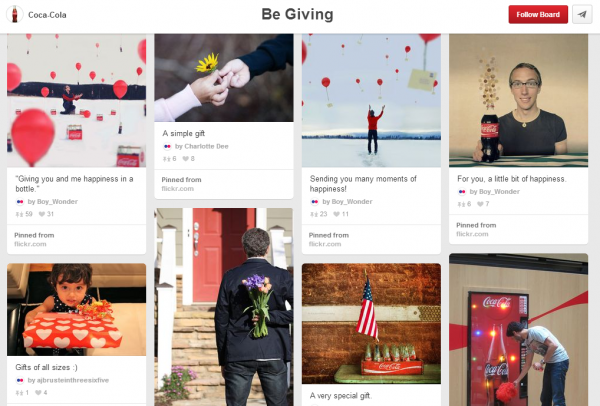 Coca-Cola repurposes cleverly solicited user-generated images from its Flickr page into engaging Pinterest boards. Keep your visuals as brand-consistent as possible, including your use of corporate colors and logos. The best visual content has a consistent design motif – you can tell what brand it belongs to in an instant. Content Marketing Institute logos look like they are from the same family, yet each is distinct. Don’t push the same image to every platform. Each social media channel has different image size requirements. Also, each network’s audience is unique. Respect the platform’s standards of communication everywhere the content will appear. The above best practices should make it easier to understand what quality visual content creation entails; however, producing that content on an ongoing basis still presents a challenge for many businesses. Though there’s no substitute for the expertise and skill of a dedicated professional designer, the visual content tools I’ve compiled below may be useful when those resources aren’t available or they may even help you branch out in new visual directions you thought you’d never be able to explore. Whether you are designing custom images from scratch for your blog, posting photos from your corporate retreat to your Instagram page, or looking to give your brand’s content a fresher, more cohesive look across all your channels, these image-creation and editing tools can help you get the job done. Not ready to take on the expense and steep learning curve of working with software like Adobe’s Photoshop or InDesign? Try Canva. It strips away the complexity and narrows the features of those professional tools to bring quality design capabilities while lowering the barriers to creating standout visual content and imagery. This online tool enables users to take a snapshot of their screens and mark up the image with text, arrows, circles, boxes, and more. Content shop entrepreneur Julia McCoy suggests that small-business owners whose options are limited by a tight budget turn to GIMP to create and edit stunning visuals: “This Adobe Photoshop-like tool is free and fairly easy to use,” she says. From the creators of productivity mainstay Evernote comes Skitch. Similar to Awesome Screenshot, Skitch enables users to grab screenshots or access photos, and edit, annotate, or add to them using a simple palette of drawing, design, and annotation tools. It’s particularly handy for highlighting sections of images for use in demonstrations and tutorials. Create free photo collages for your content or social media efforts with this easy-to-use tool. 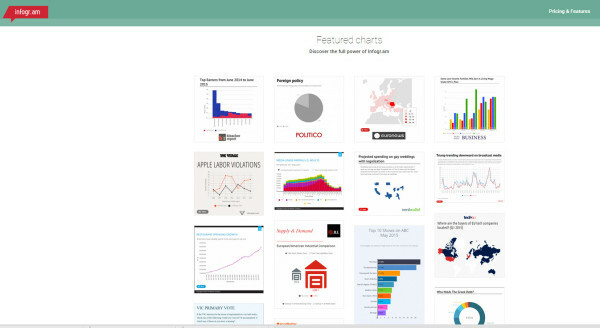 Simply select a template and plug in your data, images, links, and branding, and Infogr.am builds an embeddable graphic in a wide range of formats that are easy to publish and share. Premium options and API integrations also are available to help you take your visualizations to a more sophisticated level. 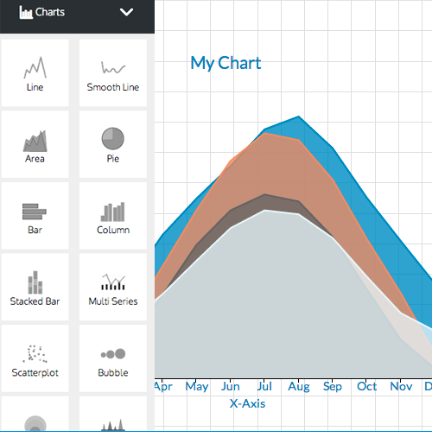 Piktochart lets you make simple, yet professional-looking infographics with drag-and-drop ease. The service also offers unlimited use of its customization assets, and is free. Regular #CMWorld Twitter chat contributor Jade Phillips suggests using Venngage to create beautiful infographics, reports, and data visualizations. Hundreds of pictograms, maps, and icon tools are available in the Venngage library, and you can upload your own photos to customize your designs. Animated videos created in PowToon. With marketers’ easy, affordable access to equipment like webcams, smartphones, GoPro cameras, and the ubiquitous selfie stick, the barriers to entering the video content game have pretty much been obliterated. But it still takes work to weave those amateur assets into a compelling story that will benefit your brand. Fortunately, these tools can help take some of the pain out of the process. GoAnimate lets you create animated video using simple drag-and-drop tools. The platform automatically syncs your narration to the animated figures on screen. Use its animation libraries — with tens of thousands of assets, representing hundreds of industries and occupations — or import your own audio, image, video and flash files. Think animation is only for the experts or those who have expensive equipment? 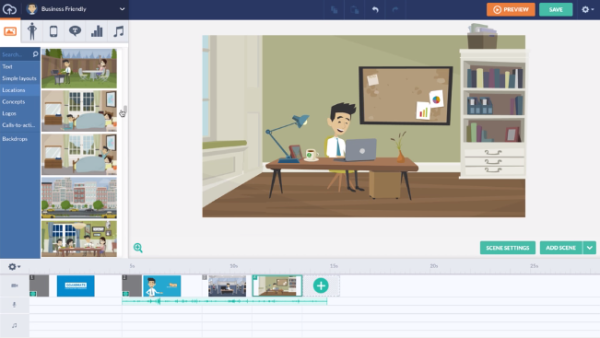 In their presentation from Content Marketing World Sydney in 2015, Jodi Sourini and Lynn Nickels admitted they include PowToon in their content marketing toolbox, describing it as a great, free visual tool that lets users create animated videos and presentations using a PowerPoint-like interface. Lorna Probert of Aardman Animation (home of the wildly popular Wallace and Gromit films) told CCO that she’s a fan of using Rapt Media, as she finds the system to be flexible, straightforward, and easily embeddable into client websites. “The interactive videos through Rapt allow the audience to actively make decisions, helping us create a more engaging experience and gain more insight about the interests and preferences of our customers in the process,” she said. “VideoScribe makes creating white-board-drawing videos so easy. It looks like we paid someone thousands of dollars to create a hand-drawn video, but it took us just 30 minutes. You can even upload your own images for it to draw, and add voice-overs and music directly in the software,” Louise Hendon said in the October 2015 issue of CCO. 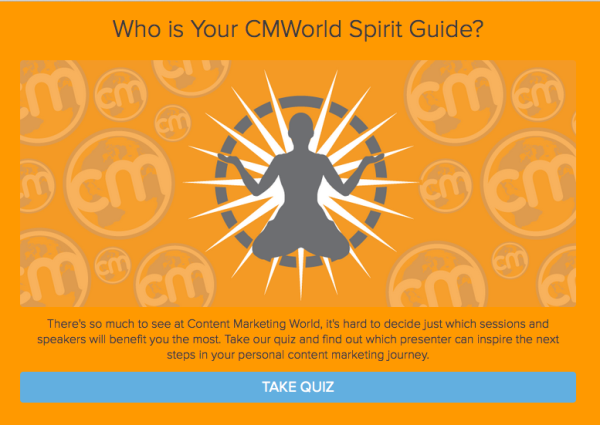 Who is Your CMWorld Spirit Guide quiz, created with Interact. While blog posts, charts, and videos are powerful content marketing mainstays, with a little ingenuity, you can take your visual content in some exciting and unexpected directions. If you are looking to experiment with your content formats as a means of grabbing a greater share of attention, the following are some tools that can help you add a bit of innovation and interactivity to your arsenal. Create games for iOS, Android, and HTML5 using a drag-and-drop interface – no coding required. 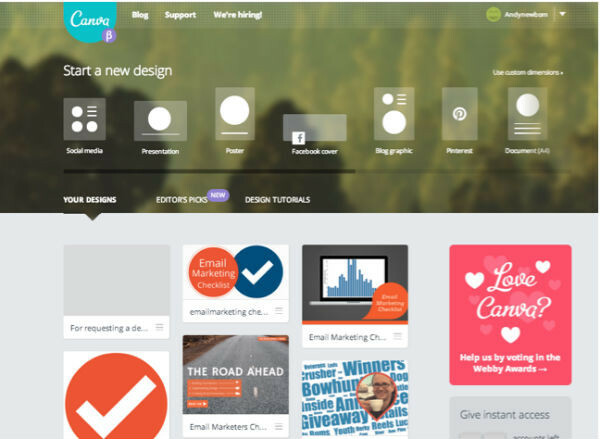 Each of these tools gives marketers the power to easily create and design their own surveys, quizzes, and other interactive activities for their websites or social media pages. 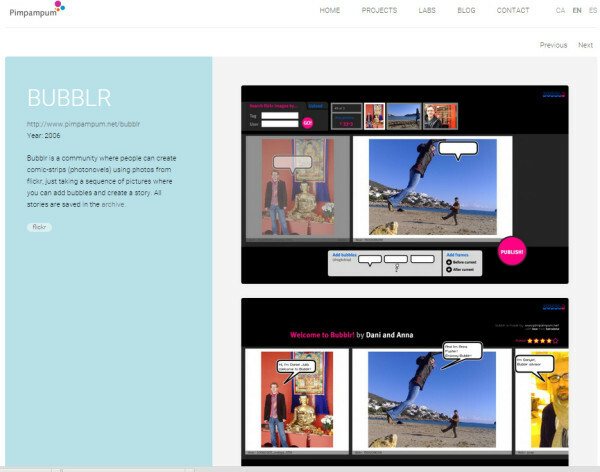 Bubblr helps users create comic-strip-like “photo-novels” by adding thought bubbles to a series of photos selected from their Flickr accounts. Of the dozens of “upload-your-photos, get-a-video” sites, Animoto is among the largest; it has a wealth of themes, a slick UI, and great ease of use. Brainshark helps businesses to engage readers more deeply in the PowerPoint presentations and slide decks they share by enabling them to add video, voice-overs, music, and more. ZooBurst is a digital storytelling tool that lets users create online pop-up books. ZooBurst authors can share books with readers using a simple hyperlink, and books can easily be embedded in any website or blog, allowing authors to provide their own contextual framework to their stories. ThingLink enables users to annotate their image and video content with notes and rich media links – great for marking up graphics with links to your additional content resources on the topic at hand. LookBooks help marketers hold on to attention by creating customizable visual content experiences that can accommodate multiple rich-media formats. Of course, these tools are just the tip of the iceberg – there are plenty of other solutions that content marketers can explore to help take their visual content creation efforts from a time-consuming necessity to a fun and engaging process. If I missed one of your favorite helpers, let us know in the comments. To expand your visual content knowledge and skills, you can learn more in CMI’s content hub on the subject.